What Happened To The Cast Of Dawson's Creek? What Happened To The Cast Of Dawson’s Creek? Dawson’s Creek is my favorite show of all time. The show is practically perfect. I say practically perfect because they could have done with a few more people of color. When it comes down to how to dream, love, look after people and how to look adversity straight in the face – D.C is the best teen drama of all time. I admit, I tell all potential boyfriends that all our kids will be watching the show as soon as they can talk. The show was filmed in the beautiful fictitious town of Capeside and had two, yes two, incredible theme songs. “I Don’t Want to Wait” by Paula Cole and “Run Like Mad” by Jann Arden. Yes, the teens spoke at a waaay more advanced level than your average 15-year-old. But it gave me permission to use words like ‘unequivocal’ and ‘pontificate.’ It forced me to get out a dictionary when I didn’t have a clue what they were saying! Because in those days I couldn’t just get my mobile phone and look it up. That’s another reason why I love the show. It came around just before the big boom of the Internet and social media. It takes me back to a simpler time when I was young and uncorrupted. I was very young when I started watching Dawson’s Creek. Probably too young, because I was still a teenager when it finished. In 2003 I went into complete mourning when Dawson’s Creek aired it’s final episode ever. I can only hope my final send off is a fitting as the ending for D.C. It is undoubtedly the best finale of any programme I have ever watched. And I’ve seen every television finale from Buffy to Breaking Bad. If you want tears, meaning and closure you’ll find it in those final two episodes. So if you can’t tell already the show had a major impact on my life. 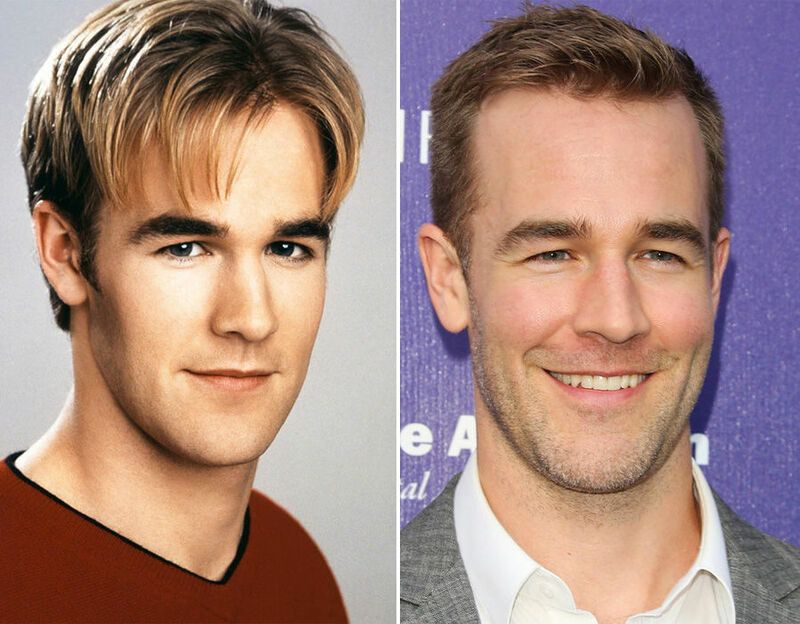 So what did happen to the cast of Dawson’s Creek? Jen Lindley was the New York wild child who grew up a little too fast. Yet she was strong, witty and kind. The actress who played Jen is the fabulously talented Michelle Williams. She already had a steady career in film and television before her big break on D.C.
Now an A-List actress she has been nominated for four Oscars. She raises her daughter Matilda Ledger, the daughter or the late Heath Ledger, in New York. Michelle shies away from social media, but she sometimes appears on her BFF’s Busy Phillips Instagram. Busy of course played Audrey on Dawson’s Creek in Season 5. She is also Matilda’s godmother. 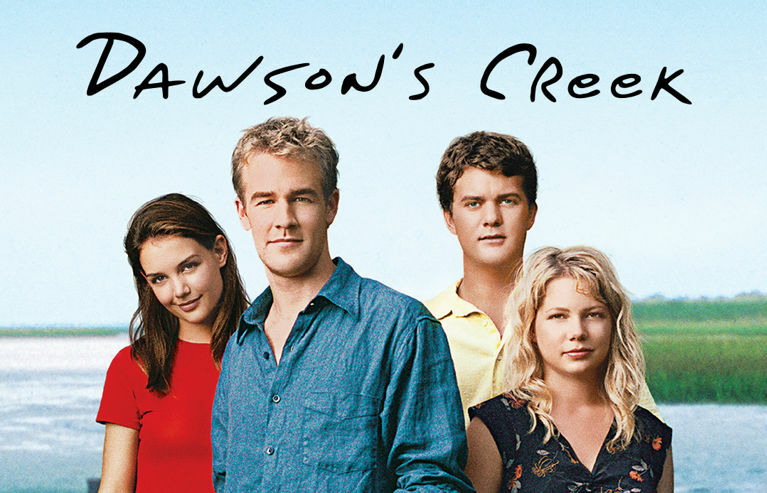 When most fans think of Dawson’s Creek, one of the first things that comes to mind is the Joey, Dawson, Pacey love triangle of 2000. Pacey was the cute screw up that every girl wanted to be with and “save.” He even managed to charm his English teacher into bed. He eventually turned his charm on his childhood friend Joey, stealing her away from his other childhood friend Dawson. And the rest is D.C history. These days the talented and handsome Joshua is still acting. He is currently playing Cole Lockhart in another hit TV drama The Affair. Who didn’t love sweet little townie Josephine Potter who longed to spread her wings and leave Capeside? She was hopelessly in love with Dawson who was so blinded by Jen’s New York City edge he couldn’t see it. 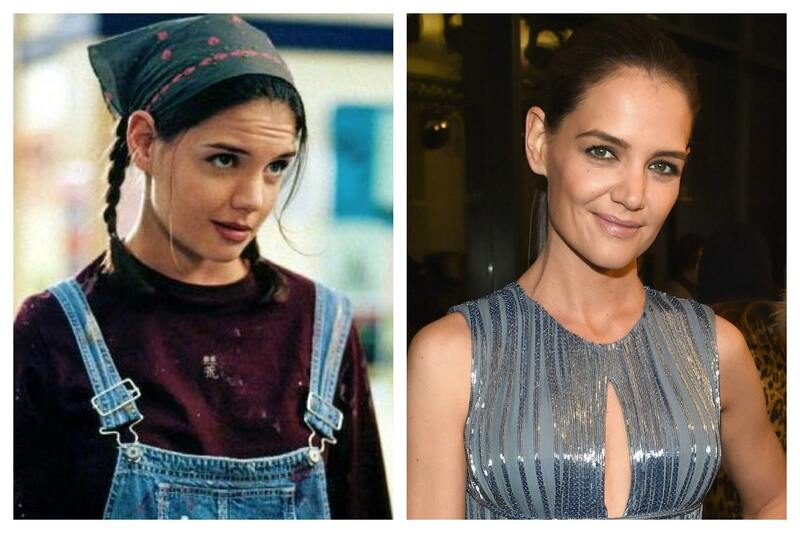 Joey was gloriously played by Katie Holmes. I remember when she started dating Tom Cruise it hurt my feelings when people asked who she was. She was Joey freaking Potter! She of course is now mom to the adorable Suri Cruise who is now 11-years-old. After leaving Dawson’s she starred in a number of projects. My personal fave was her role as April in Pieces of April. She has also played Jackie Kennedy in The Kennedys and The Kennedys: Decline and Fall. She is due to appear in the all female Ocean’s Eight movie alongside Sandra Bullock and Rihanna. You can follow her on Instagram here. But it’s only recently that I’ve learnt to appreciate what his character did for the show. He was always there for his friends. He was hopelessly ambitious (which paid off by the way) which inspired me to reach for the stars. When you cut away from the big words and melodrama – he was a truly big-hearted fascinating personality. Dawson was a huge Spielberg buff and a massive lover of films. In fact, when I first got into film, I learnt so much by watching D.C and watching the iconic movies Dawson mentioned. But as a die hard fan of the show, I’ve always known that James wasn’t as taken by Dawson’s as his co-stars. This was evident in a truly cringe-worthy interview on a British daytime show recently. He is respectful of the show and what it has done for his career and the memories he made. However he struggles to understand why the show is still wildly popular to this day. He has never once watched the show all the way through. Let’s face it, the show became the ‘Joey and Pacey’ show after Season 3. In fact, Katie Holmes is the only cast member to appear in all 128 episodes. James constantly raised concerns to producers about his character and where he was heading. It’s not that he’s a spoilt sport, he would just be rather be known for what he is doing now than what he did twenty years ago. I guess I just want him to have the same enthusiasm for the show that I do. But hey, I just watched the show he lived it. James recently appeared as Elijah Mundo in CSI: Cyber and British comedy Carters Get It Rich. He also poked fun of his role as Dawson in the much missed comedy series Don’t Trust the B—- in Apartment 23. I personally loved his performance in the 2002 film Rules Of Attraction which is a must see. In real life he briefly dated his co-star Katie Holmes. James is now a father to four beautiful children. He has been married to his wife Kimberly for seven years. 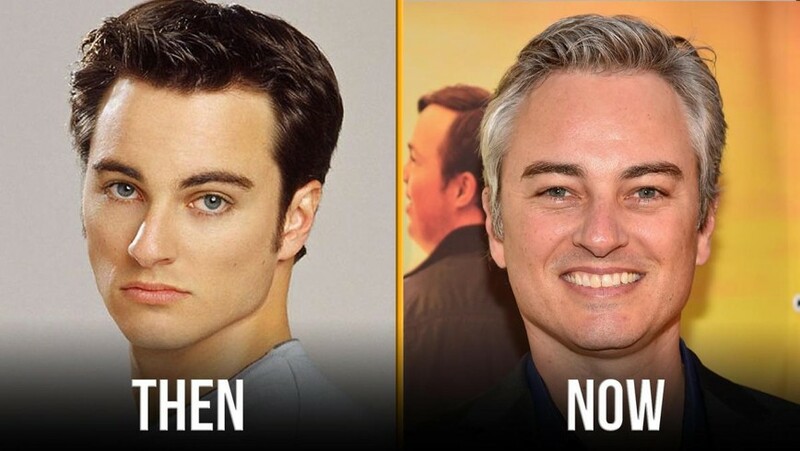 Kerr Smith was a great addition to the cast when he joined the show in Season 2 alongside sister Andie. At the time when Jack came out I had no idea what gay was or knew anyone that was. But I truly fell in love with the character. I remember bawling during Season 3 when a mother wouldn’t let her kid be taught football by Jack because he was gay. How could anyone hate Jack? He was the loveliest of people. Dawson’s taught me to be tolerant and respectful of everyone. Which I guess was the whole point. They wanted Jack to be seen as a normal guy who happened to be gay. Not some deviant who would molest your kids. I also loved his friendship with Jen Lindley and how much he cared for his sister. Kerr has appeared in teen movies Final Destination and Cruel Intentions 3 after the end of Dawson’s. He also guest starred in Charmed and CSI. Then in 2014, Smith found himself on another groundbreaking TV show ABC Family’s The Fosters. A lot of die hard Dawson’s fans still ship Andie and her first love Pacey as the real love story of the show. Andie and Pacey ending up splitting up after Andie sought help for her mental health issue. She ended up cheating on him with a patient at the facility. Some fans (including Kerr Smith) have questioned whether Andie would have really cheated on Pacey. 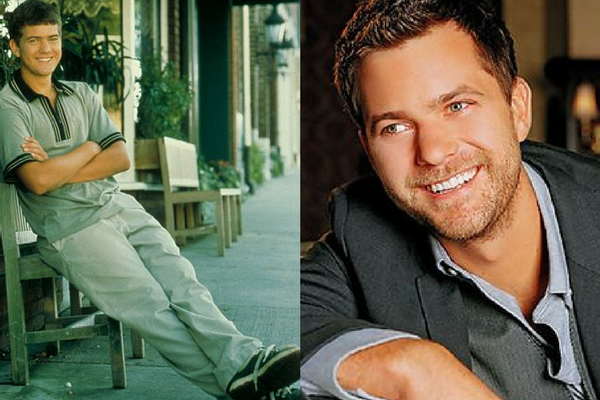 But can you imagine Dawson’s Creek without the love triangle of Pacey, Joey and Dawson? I praise D.C for sensitively handling Andie’s mental health journey at a time when the subject was a lot more taboo than it is now. Monroe has appeared in a number of projects since her Dawson’s days, including Hart Of Dixie and The Edge of Seventeen. Humes played one half of Dawson’s highly-sexed parents. Like her son she was highly ambitious and was a successful TV anchor. These days the 63-year-old is still acting in multiple television shows including Grey’s Anatomy and Touched by an Angel. She still looks amazing as now as she did then! 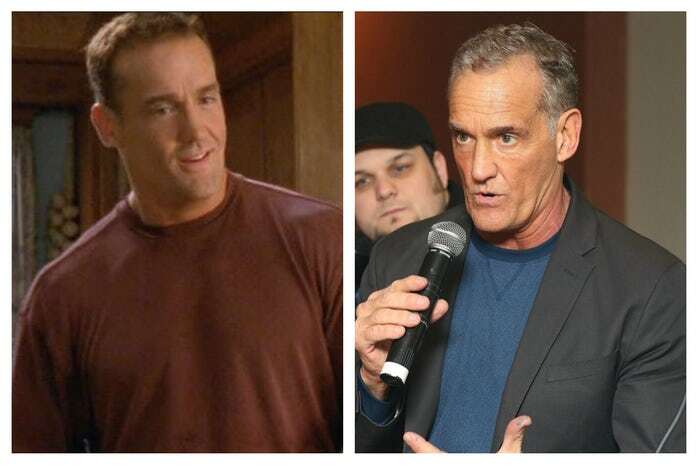 Mitch Leery is simply one of the greatest television dads of all time. He didn’t just have time for his son but all his friends too. Shipp remained part of D.C through its first four seasons, exiting in 2001. These days you can catch the actor in hit show The Flash. 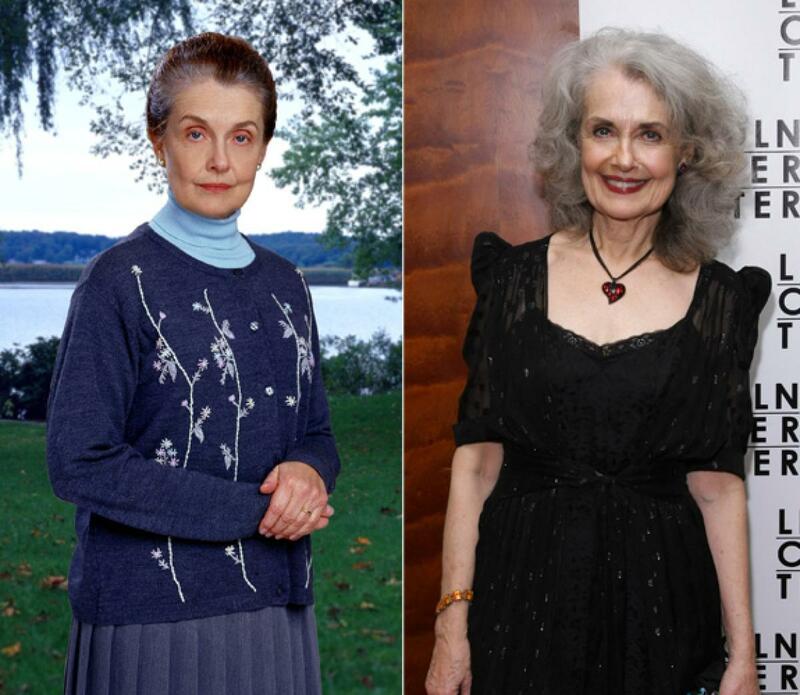 Mary Beth Peil played the ultra religious grandma of Jen Lindley who she tried to keep on the straight and narrow. Although polar opposites, the grandma and granddaughter grew to love their differences and by the end of the series were extremely close. The 77-year-old veteran actress is still acting having played Jackie Florrick in The Good Wife. 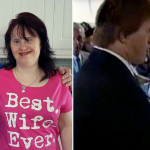 Previous article Couple With Down Syndrome Prove Skeptics Wrong And Celebrate Their 22nd Wedding Anniversary! 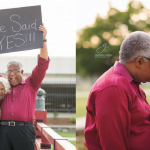 Couple With Down Syndrome Prove Skeptics Wrong And Celebrate Their 22nd Wedding Anniversary!